Situated in the entertainment district, this hotel is within a 15-minute walk of RNA Showgrounds and Royal Children's Hospital. Exhibition Station is only a 2-minute walk and Brisbane Fortitude Valley Station is 12 minutes. 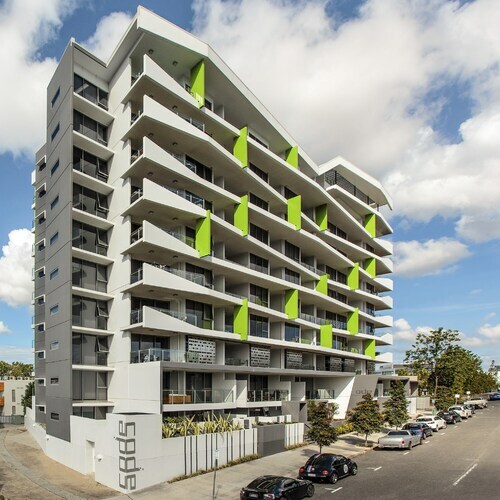 Situated in Bowen Hills, this luxury apartment building is within a 15-minute walk of Royal Brisbane & Women's Hospital and RNA Showgrounds. Perry Park is 0.9 mi (1.4 km) away. Brisbane Bowen Hills Station is 15 minutes by foot and Exhibition Station is 15 minutes. 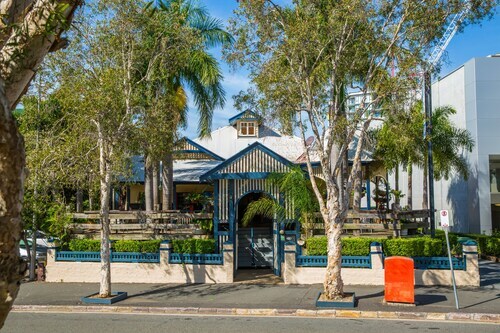 Located in the heart of Bowen Hills, this guesthouse is within a 5-minute walk of Tivoli and RNA Showgrounds. Royal Brisbane & Women's Hospital and Emporium are also within 1 mi (2 km). Exhibition Station is only a 4-minute walk and Brisbane Fortitude Valley Station is 9 minutes. Situated in Bowen Hills, this luxury aparthotel is within a 15-minute walk of RNA Showgrounds, Tivoli, and Royal Brisbane & Women's Hospital. Roma Street Parkland and Emporium are also within 2 mi (3 km). Brisbane Bowen Hills Station is 6 minutes by foot and Exhibition Station is 9 minutes. Located 3 kilometres to the north of the heart of Brisbane, Queensland's capital, visitors can find the interesting neighbourhood of Bowen Hills. If you want to visit Brisbane, be sure to get to the Queen Street Mall, the Brisbane Convention and Exhibition Centre and Roma Street Parkland. Take a step away from the concrete jungle by relaxing in New Farm Park. Consider the rates at the Emporium Hotel and Spicers Balfour Hotel to stay nearby. Window-shop to your heart's content at Merthyr Village. There's sure to be something perfect for you. For this spot, check out the Brisbane Riverview Hotel and Brisbane Marriott Hotel. Are you heading to Bowen Hills with an eye on your finances? The Brisbane Manor Hotel might be your best bet. At Wotif, we believe it is important to splurge sometimes. 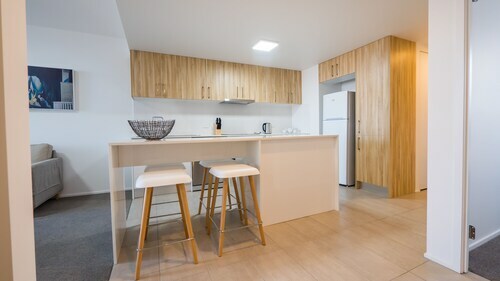 So if you are travelling to Bowen Hills and you're in the position to spend a little more, have a gander at the rates at the Code Apartments. Not your best self in the morning? Don't worry, you'll discover a mix of great cafes in Bowen Hills. An early coffee and pastry at Di Bella Coffee is an ideal way to get yourself in gear. All that sightseeing can certainly take it out of you. Luckily, Brisbane Marriott Hotel plates up delicious meals that'll be sure to satisfy even the most ravenous of travellers. Before walking back to your hotel, why not swing by Limes Hotel for a few drinks? Whether you're a beer or wine drinker, you'll be well looked after here. 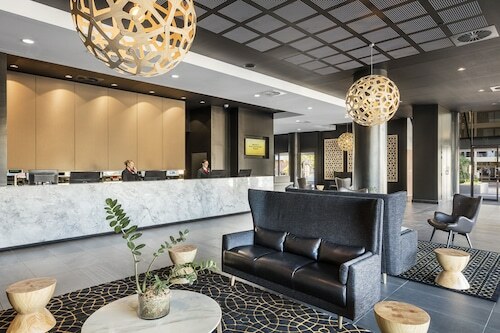 If you and your family cannot secure the right Bowen Hills hotel, it is worth checking out the lodging options in Newstead and Windsor. It doesn't matter if you're only after accommodation, or the whole shebang including excursions, car hire and flights, Wotif has got your back in Bowen Hills. 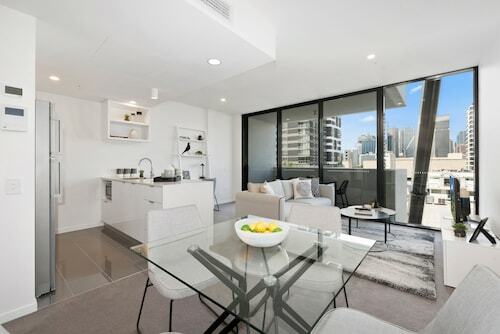 How Much is a Hotel Room in Bowen Hills? Hotels in Bowen Hills start at AU$60 per night. Prices and availability subject to change. Additional terms may apply.